Why are you a Wedding Photographer? - Weddings are the boot camp in the photography world. It's full-on and incorporates Photojournalism, Lifestyle, Portrait, Product, Landscape, Architecture, Event and Travel photography all in one. Kris started shooting weddings only for the learning curve but stayed for the connections he's cultivated with clients, and the meaning he was surprised to find in the work. In essence, Kris is an introvert who finds purpose with Photography. It offers him an opportunity to creatively interact with others, and the photographs afterwards to reflect with. We love your photographs! What's the next step to hiring you? - Send us a friendly email with some basic information about your Wedding and the two of you. If we're not already booked for that date, then we can arrange a time to meet in person and set up an Engagement Session - a great way to become comfortable and familiar with our work on a personal level. Sessions are affordable, and lots of fun! Please contact us and we'll explain the steps more clearly. We hate the idea of being 'posed', how can you help us feel more comfortable in front of the camera? - We prefer organic and natural poses over anything staged, but understand that most clients appreciate a bit of guidance. Our go-to tactics for creating an authentic and enriching photoshoot experience are Curiosity and Humour - we'll gently prompt you with queries to get the creativity flowing, and we'll be sure to drop in a few well-timed quips or comments to bring out your truest expressions. We will never force you into stiff poses that make you both look more awkward than authentic, because that really doesn't photograph well anyway. During the Family Formals we do direct and facilitate the process to make it happen as quickly and smoothly as possible, for everyone's sake. What can we expect to pay for a deposit and when is the final payment due? - A $200 deposit is required to secure your wedding date. This will be subtracted from the final payment which is due prior to or on the wedding day. We're always happy to offer payment plans as well, just ask! We're private people and are concerned about our photos being shared online. Will you be posting our wedding photos on the internet or in publications? - We too value our privacy, so we understand this complex question, and the answer varies. But first please understand that it is these photos which help move our careers forward, and each wedding is an opportunity to grow our skills, so we love showing our latest work! For this reason we tend to give preference to couples who are open to having their images seen on our website, blogs, or related publications. With that said, privacy can be met on many levels - we will never tag names, share personal emails, or show unflattering images (not that we take any!). Still, at the end of the day if you strongly need us to remove photographs, especially if for cultural or religious reasons, please contact us and we will find a solution that agrees with everyone. What would you say is your photography style? - Our approach is undoubtedly Photojournalistic, with a bold, colourful and creative take. What we hear most often is our ability to capture authentic moments, genuine emotion, and a large delivery of candid shots. We really pride ourselves on our attention to your guests also, because the way we see it, great photographs of your guests are fun memories for you, and a gift for them too! Are you capable of shooting in low-light situations? - Most indoor venues are dark, and a real professional will be prepared for these conditions. We are confident and fully ready for any lighting situation. What specific shots can we expect from you? - It's our job to know what photographs you and your family want, so we will always be prepared to exceed your expectations. You can expect a rounded portfolio of your wedding day that includes photographs of yourselves, the wedding parties, your guests, the location, decor, food, fine details and of course our own artistic flare. If you have a specific vision or examples of inspiring images let us know! We love testing our boundaries and trying new things to capture photos that are unique to each couple and accurately represent their day. Do you mind if other people take photographs during the wedding? Do you expect to be fed? - Helpful, but not expected. Please let us know beforehand if you need to purchase a ticket for a vendor meal. Since we wouldn't eat much we would rather bring our own food if that's the case. If it's an open buffet on the other hand a plate would be very much appreciated. What can we expect from your presence at our wedding? - Stealth, but approachable. We will be seen constantly but never invasive. We do our best to stay out of the way, yet you can bet we'll do whatever we can to get all of the money shots. You can also hear what our previous clients had to say on the Metta page. - Professionally, often in black or dark colours so that we can blend in easily. Do you offer Wedding Albums or Fine Art Prints? -Fine Art Prints are our preference, for good reason. Please inquire further about these options and we would be happy to go over the details with you. Who edits the photos? Are filters or presets used? - Kris meticulously edits and perfects every single photo himself. Photography is an art form, and editing is just one of the key components of creating a piece of art. Outsourcing edits would diminish his signature style and creative vision considerably - no thanks! We don't use presets, but have professional editing software at our disposal, which offers limitless options for creating a mood, theme, or particular style within each individual photograph. We will work with you to determine your preferences, and create images that are both beautiful and truly unique. How long will you keep the photos after you deliver them to us? - Chances are for years, maybe decades. They will be password protected, and in safekeeping. With that said we are not responsible for any lost or stolen photos on your behalf once they are delivered. If you need us to ever replace them just contact us, it's possible we will still have them. We recommend backing up your photos on multiple hard drives and in a cloud, after all, it's the modern digital age. Do you offer RAW files? Most photogs don't. - Yes, as artists we respect another's desire for these files. There are some conditions, so please inquire further if this is something that matters to you. - Only the best for you! We use full-frame professional Canon cameras with both prime and zoom lenses. We have invested top dollar into our equipment, so as to offer not only the best high-resolution image quality, but also the ability to create some really fun and distinctive shots. - Of course! We wouldn't dare leave the house without it. 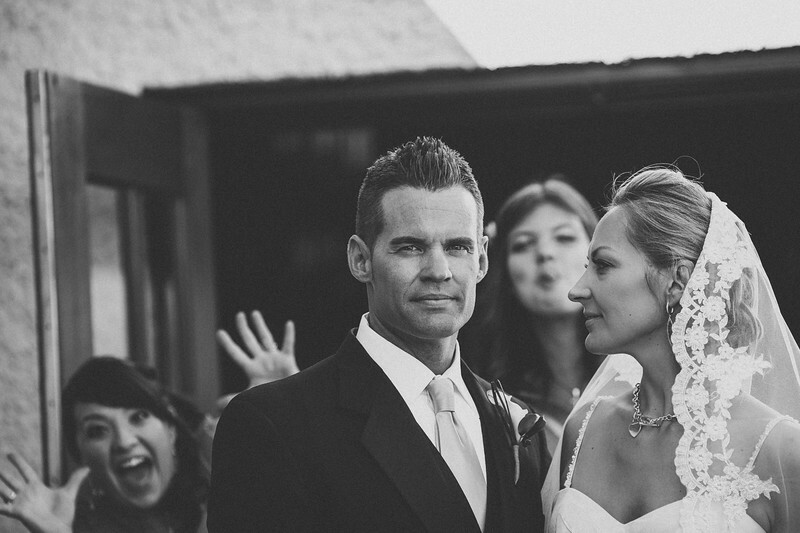 Why don't you blog like most Wedding photographers? - We've considered it, but just haven't made the time to do it properly. We can absolutely arrange to show you more photos online or in person if you're curious to see a wedding day from start to finish. Do you appreciate our work? Here's how you can help us even more: Tell your friends! Share our name, like us on Facebook or Instagram, send us a testimonial. Living in Coldstream, North Okanagan. Serving all of BC, PNW, and the Rocky Mountains: OKANAGAN VALLEY, KOOTENAYS, ALBERTA, LAKE COUNTRY, KELOWNA, SUMMERLAND, PENTICTON, SIMILKAMEEN, SHUSWAP, SALMON ARM, CHASE, REVELSTOKE, GOLDEN, SLOCAN, NELSON, KASLO, FERNIE, BANFF, JASPER, LAKE LOUISE, FIELD, ROSSLAND, KAMLOOPS, MERRITT, CHILLIWACK, ABBOTSFORD, LANGLEY, SURREY, VANCOUVER, SQUAMISH, WHISTLER, PEMBERTON, WESTCOAST, and BEYOND!